The dangers of sugar starts when it’s consumed. As it it enters the digestive tract, it gets broken down into two simple sugars; glucose and fructose. Glucose is in every living cell and our bodies produce it. Fructose is not produced, and there is no need for it. The liver can only metabolize fructose in high amounts, making it dangerous. Sugar affects our brain by releasing dopamine into the bloodstream, but at much slower levels than what drugs do. When we increase the amount of sugar into our diet, a person will start to crave more and more hoping to feel better after we consume it. 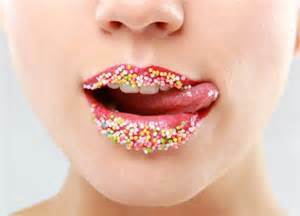 Many people that lose a drug addiction find themselves picking up a sugar addiction right after. The characterization by uncontrolled growth and multiplication of cells is considered to be cancer, and it’s the leading cause of death worldwide. Scientists believe when a person has an elevated insulin level, this can contribute to cancer. Insulin is a key hormone in regulating the “uncontrolled” growth in cancer. Many studies have shown that high levels of fructose in a persons diet has linked the increase in belly fat. Children who were found to have high amounts of fructose in their diet presented more matured cells to form into fat cells in belly fat. Not only does added sugar add to the waistline, it also raises the risk of type 2 diabetes and heart disease. You’ve probably been told many of times that sugar is terrible for your teeth, but it’s so important to stick by the rule of not eating it. Added sugars contain so many calorie(empty calories), and have no essential nutrients. If people consume 10-20% more calories from sugar, this can lead to nutrient deficiencies in their body. ← 11 Year Old At Home – Neglect?